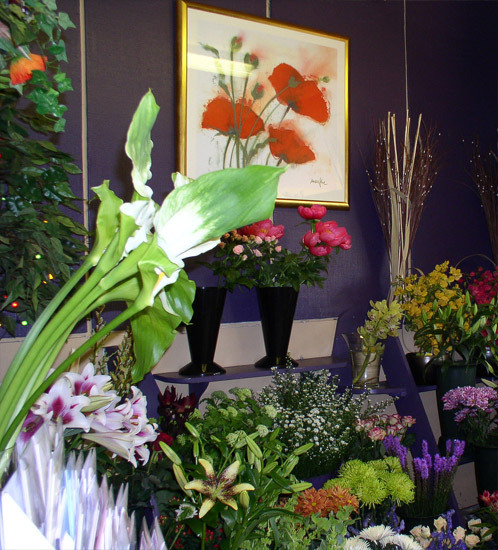 We are florists with a flair for design. 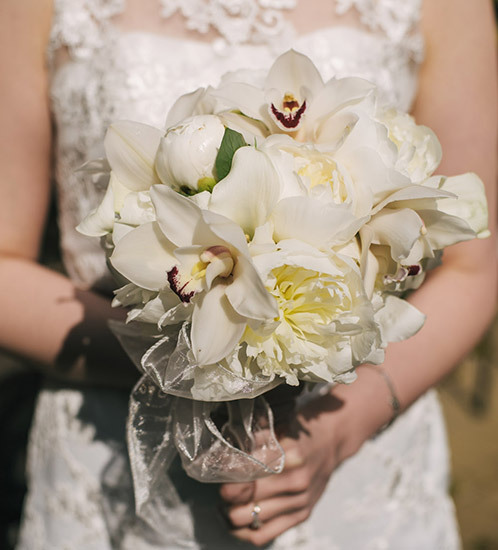 From traditional to contemporary, from a simple hand-tied bouquet to an exotic, extravagant freestyle design, we have the expertise and creativity to fulfil your requirements. 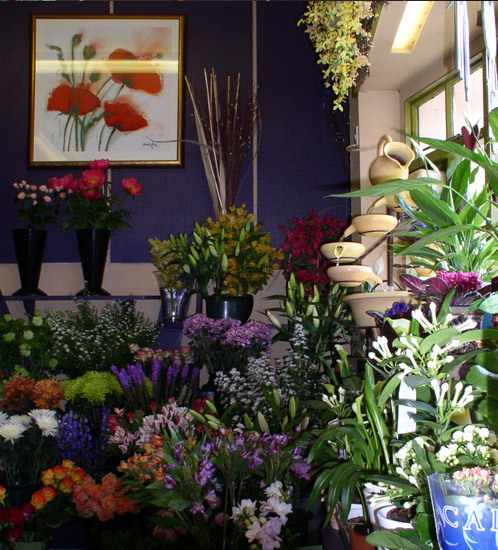 We cover a wide delivery area for our bouquets, arrangements and plants within a 25 mile radius including local islands. We can also offer a UK and International delivery service..
Our flower selection is vast, we buy directly from the renowned dutch auction and can therefore offer our clients first class quality and an amazing selection of flowers. 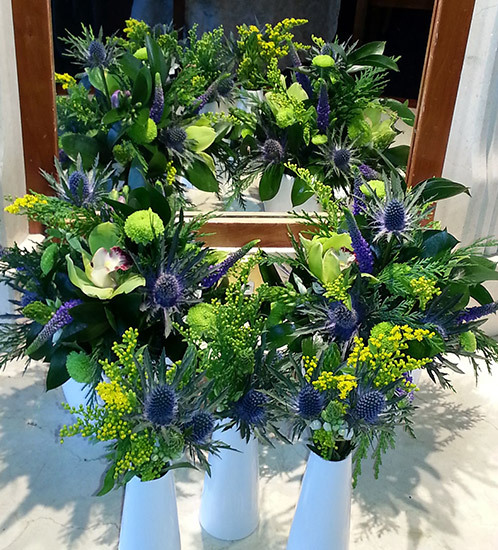 I started my business over twenty years ago after training at Telford College Edinburgh and have provided my flowers for many prestigious venues in the West of Scotland. Due to the high demand for my wedding work, I have decided to give up my shop and freelance my services. I now have a fully equipped workshop in Oban. As a freelance florist I will now be able to travel further afield beyond Oban. My Guarantee to you is I will meet you at your chosen venue, for a free consultation and bring along my portfolio. You will always be able to contact me, and you will receive a written quotation for all work required. 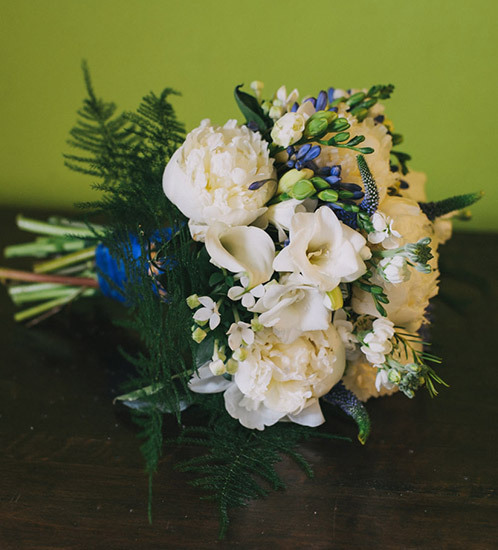 I will deliver your wedding flowers on the day of your wedding. For all your important events - Weddings, Christenings, Private functions, Christmas venues, Funeral Tributes - call on your qualified designer florist. 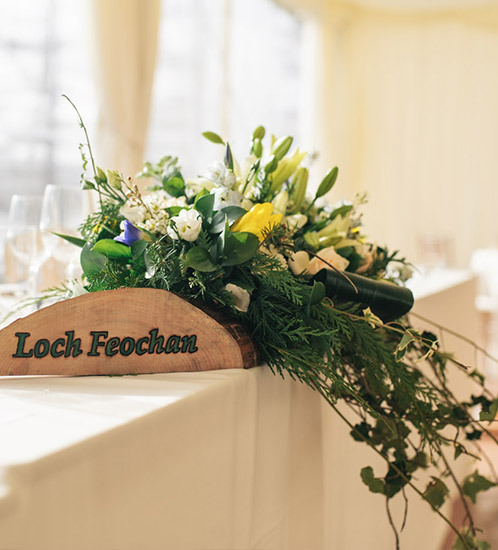 We have a vast knowledge of all local wedding, reception and function venues and have catered for weddings both large and small in venues ranging from country houses to marquees on beaches. Jolomo - we have provided unusual and exotic fresh flowers for John Lowrie Morrison’s inspired contemporary flower paintings. Wedding work featured in Scottish Wedding Directory (Ardanaiseig Hotel), and Wedding Flower Magazine (Ballahulish Wedding).